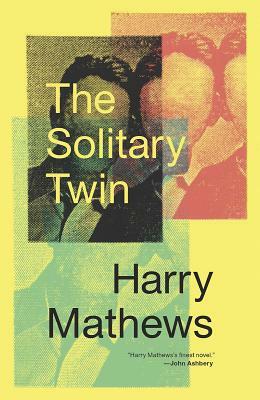 So begins the great writer Harry Mathews's final novel, The Solitary Twin, a rollicking yet incredibly moving story of two young men who come to a picturesque beach town. Seen prismatically through the viewpoints of the town's residents, they offer a variety of worldviews. Yet are they really twins or a single person? Harry Mathews, the first American member of the French avant-garde literary society Oulipo, and long associated with the New York School of Poets, passed away this year, and The Solitary Twin is his last novel. "I believe this novel is his finest," his friend John Ashbery wrote.